These days, it’s not unusual to see flight attendants and pilots using tablet computers as part of their job. Unfortunately, like any other part of an airplane, tablets too can experience technical issues. Yesterday, American Airlines experienced a company-wide iPad software glitch that grounded several dozen flights, Quartz is reporting. Attendants on one of the grounded flights, American #1654 from Dallas to Austin, discovered the issue only after passengers were loaded onto the plane. “The pilot came on and said that his first mate’s iPad powered down unexpectedly, and his had too, and that the entire 737 fleet on American had experienced the same behavior,” passenger Philip McRell told Quartz. “It seemed unprecedented and very unfamiliar to the pilots.” In some cases, affected flights were required to return to their gates to access a Wi-Fi connection and fix the issue, American explained. No crashes or other incidents occurred during the temporary software blackout. 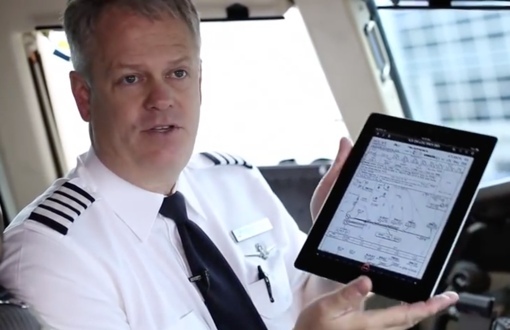 In 2013, American Airlines switched from heavy, paper-based flight manuals to lighter iPad-based manuals in its planes’ cockpits, saving $1.2 million in fuel costs annually. In 2014, American expanded its electronic manual program to flight attendants. At American, iPads are used to reference plane information, along with charts and information about destination airports. The problem brings up an important point about modern technology. It’s incredibly tempting for companies to upgrade from old school paper to electronic document storage, but doing so creates the possibility for new problems. Paper manuals may be heavy, but they don’t crash and they can’t be hacked. American says it’s “identified the solution” for this specific problem. Hopefully the company will brainstorm ways to prevent issues like this from happening in the future. Its hard to believe that in such technologically advance world we still face such issues.